This show broadcasts on May 29, 2015. 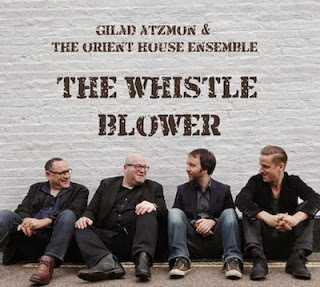 Gilad Atzmon, author of the new A to Zion, one of the great minds and great musicians of our time, has been called a lot of things: “Self-hating Jew,” “self-hating Israeli,” “anti-Semite,” “skinhead nazi sympathizer” (and plenty of other “unlovely terms”). What he really is, is a philosopher – not the phony academic variety, but the real thing – a gadfly like Socrates who commits the ultimate sin (according to the neocons) of seeking and uttering the truth in the public square. He’s also calling himself a “reactionary essentialist,” the two worst insults that a mindless liberal academic can throw at another mindless liberal academic. In this interview Gilad explains how various issues or institutions (Palestine, the 2008 financial implosion, big banking in general, Hollywood, false flags, Pam Geller) are becoming “Jewish problems” – a situation that has, in the past, occasionally led the goyim to throw the Jews under the bus. 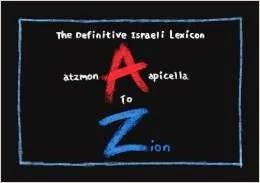 As anti-Jewish animosity grows, Gilad suggests, Jews (as a tribe or collective) attempt to monopolize both sides of each dispute in order to keep a lid on the situation. Examples: The liberal Southern Poverty Law Center, a spin-off of the Zionist propaganda organ ADL, attacks ultra-Zionist genocide advocate Pam Geller as a racist; anti-Zionist Jews “speaking as Jews” take over the pro-Palestine movement; many liberal Jews including Soros support the Occupy movement against the (disproportionately Jewish) banksters (such as Soros); and so on. Even the Cold War, according to Gilad, was a “Jewish problem” in that the disproportionately Jewish communists battled the disproportionately Jewish banksters who dominated capitalism. When the Cold War ended, neocon Jews staged 9/11 and created the “War on Terror” (i.e. the war on Israel’s Islamic enemies) to replace it…while liberal Jews set limits on permissible discourse opposing/exposing it. Those who transgress those limits, as I have, are drummed out of (Jewish-dominated) established institutions, endlessly smeared and defamed, and denied the opportunity to earn a living. Is Gilad’s account accurate? Or is he exaggerating the importance of Jews, Jewishness, and Jewish identity politics? Listen and make up your own mind. This entry was posted on Wednesday, May 27th, 2015 at 10:16 pm	and is filed under 9/11, Anti-War, Censorship-Propaganda, Disaster Capitalism, Econo, False Flag/Fake Terror, Freedom, Justice, Kevin Barrett, News, Occupation, Protest, War Crimes. You can follow any responses to this entry through the RSS 2.0 feed.